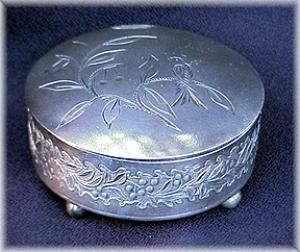 This is a cute silverplate woman's dresser box. It is in excellent condition. It is stamped on the bottom with the catalog number 235.